The news came to light as the bank was fined US$100 million by the Consumer Financial Protection Bureau (CFPB) on Thursday. By creating accounts and signing consumers up to financial products without their authorisation, Wells Fargo employees were able to collect an estimated $2.5 million in bogus fees and charges from their customers. “Spurred by sales targets and compensation incentives, employees boosted sales figures by covertly opening accounts and funding them by transferring funds from consumers’ authorised accounts without their knowledge or consent, often racking up fees or other charges”, the CFPB said in a statement. Once the news was out, the bank confirmed to CNNMoney that over the course of several years, 5,300 employees had been fired in relation to the fraud scheme, roughly 1% of the company’s entire workforce. 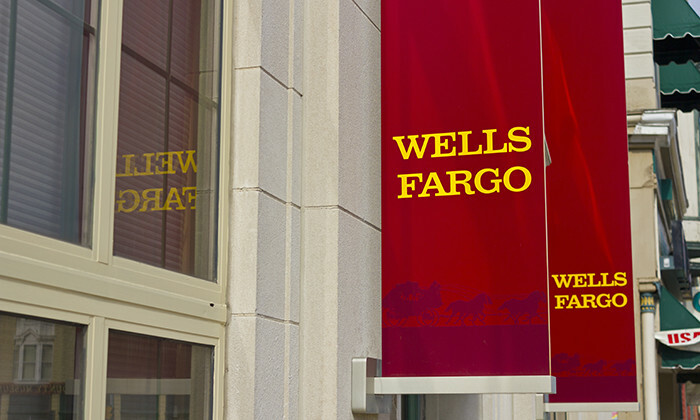 Commenting on the dismissals, a Wells Fargo spokesperson told Human Resources magazine: “The vast majority of our team members serve our customers’ best interests every day in every interaction. Unfortunately, there have been instances where team members did not meet our standards and engaged in behavior that is inconsistent with our Vision and Values”. According to the bank’s own estimates, between 2011 and 2015 employees opened more than two million deposit and credit card accounts without consumer authorisation. After a new account had been opened, the employee would transfer funds from a consumer’s authorised account to temporarily fund the new, unauthorised account. This allowed the employee to take credit for opening a new account, entitling them to additional compensation and helping them achieve the bank’s sales goals. The secret money transfers would sometimes result in customers being charged for insufficient funds or overdraft fees, because their money wasn’t in their original account. Aside from opening fake accounts, employees requested and issued debit cards customers had not asked for or agreed to, creating fake PINs in order to complete the transaction. Furthermore, dummy email addresses were created in order to enroll existing customers in online-banking services without their knowledge or consent. The question is whether a fine and the firing of 5,300 employees will stop similar activities from happening. Speaking to CNNMoney, several former employees suggested the illegal conduct is ingrained in the bank’s working culture. “This was not done by employees trying to hit their sales numbers, it was more of threats from upper management,” a former employee told CNNMoney, adding that workers feared they would lose their job. Another ex-employee, Sabrina Bertrand, agreed and described the sales pressure from management to be “unbearable”. When asked about the claims, a Wells Fargo spokesperson told Human Resources magazine that providing customers with products they do not want or value is counter to the bank’s values and culture. She added: “We have taken this issue seriously and have made improvements to our processes and practices over the past three years to ensure team members are not being pressured to sell products”. Encouraging staff to plan how to resolve incomplete work tasks in advance might help in ceasing to worry about important deadlines..